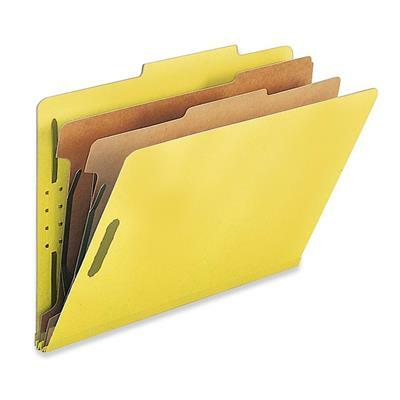 Eco-friendly classification folders are durable and made for subdividing large, bulky legal-size files. 2"" fasteners are embedded on the front and back panels as well as the two dividers, expand for a 2"" capacity and keep papers secure and in order. Covers are made of 25 point stock and have 2/5-cut right of center tabs. The dividers are made of 20 point stock and have 1/3-cut tabs. Folders are made with recycled material.